Our second annual fundraiser in October featured Portland soccer greats Nat Borchers and Adrianna Franch. The event not only allowed our supporters and sponsors to meet and learn more about Off the Sideline, it also netted funds to sponsor more than 80 youth scholarships in 2018. Another 2018 highlight was the opportunity to participate in Rip City 5050 Raffle at two Portland Trail Blazer games, with volunteers selling enough tickets to provide nearly 20 scholarships. 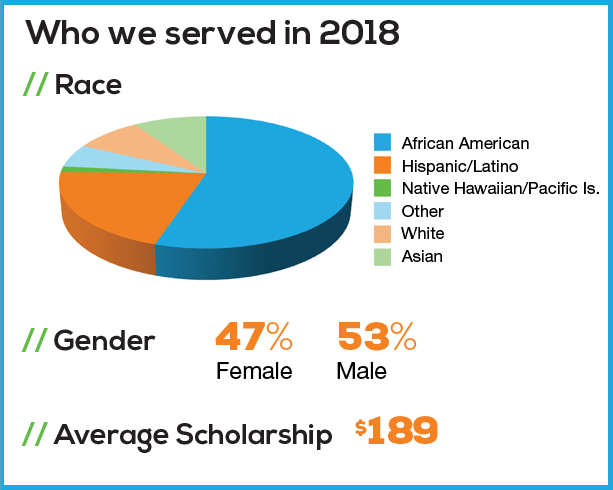 Our 142 scholarship recipients in 2018 participated in a variety of sports, including baseball, basketball, cheerleading, football, gymnastics, soccer, track and field, and volleyball. Thanks to all of our volunteers, community partners, and individual and corporate funders who helped make 2018 our most successful year ever. We look forward to even greater success in 2019. 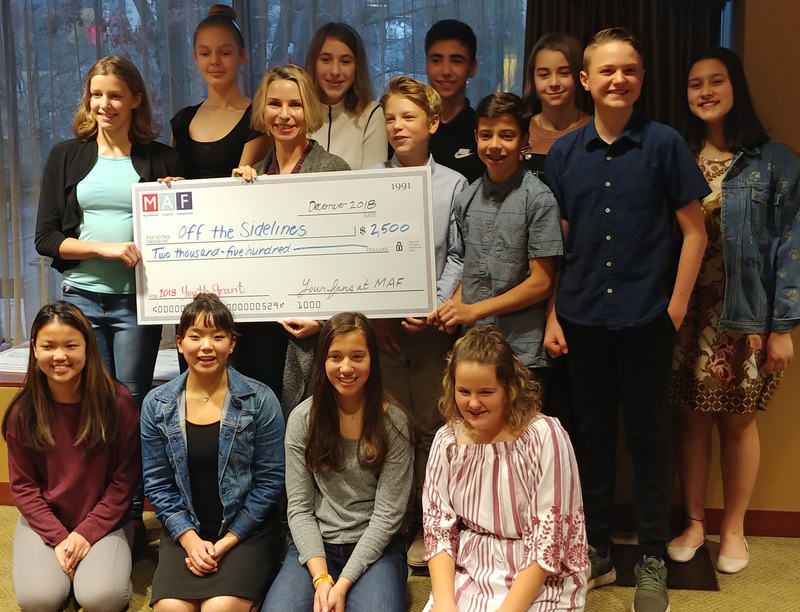 With the goal creating positive change within communities through athletics, the Multnomah Athletic Club Youth Grant Initiative donated $2,500 to Off the Sideline. During a luncheon on Dec. 2, 2018, this amazing team of seventh and eighth graders explained how we met their “head and heart” criteria. The Portland Trail Blazers weren't the only ones who won during their match against the Dallas Mavericks on Dec. 23. Thanks to the 25 volunteers who sold Rip City 5050 Raffle tickets at the event. Their generous donation of time helps us provide scholarships to deserving fifth through ninth graders in Multnomah, Washington and Clackamas Counties. Please visit and follow us!